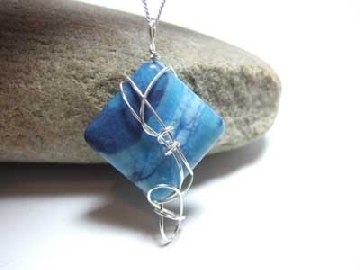 Silver Wire Designs offers Unusual Designer Jewelry direct from the award winning designer Semina Lewis. On the website you can fine unusual aquamarine jewellery and white natural pearl bridal jewellery alongside gifts for women. Each item is individually made to provide a unique gift using solid silver. Precious Sapphire Blue Precious Jewellery and Emerald Green Naural Precious Jewellery as well as semi-precious jade silver jewellery and rose quartz handmade jewellery can be found with over 50 pages and 1100 items to choose from. Handmade Earrings , bracelets of all sizes and gift boxed jewellery sets can be purchased making unique and unusual gifts for that special person or occasion. 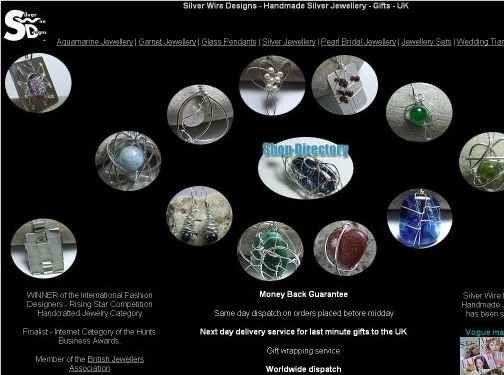 UK (Cambridge) based company offering handmade jewellery products. Website features e-commerce facilities, terms and conditions, delivery and returns information, full company contact details.